This style is made with fabric engineered from post-consumer recycled bottles and post-industrial recycled nylon. A ruggedly refined roll-top backpack, the London holds your laptop, tablet, and phone, plus enough clothes to get you through the weekend. 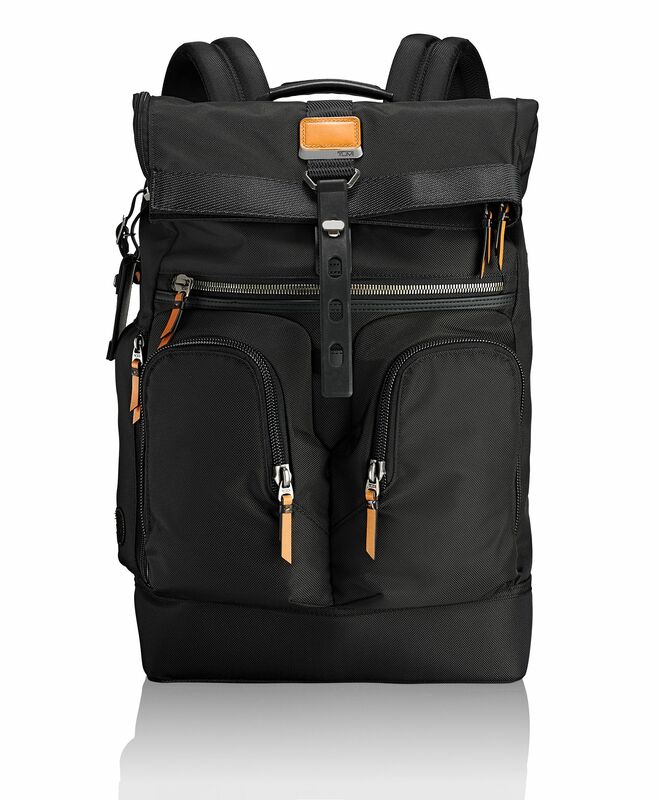 Comfortable, padded backpack straps. Top zip closure. Alpha Bravo is made from ballistic nylon, which withstands the wear and tear of everyday use.